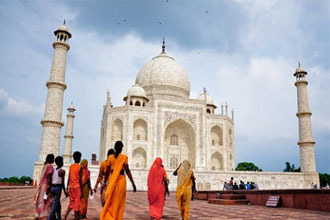 You Will Be Picked Up From The Hotel By Our Driver in New Delhi / Gurgaon And Will Be Driven to Jaipur. Reach Jaipur With in 5 hrs. Visit Jantar Mantar which is another wonderful example of architectural work done in the city by Sawai Jai Singh. After Jantar Mantar visit City Palace which is a famous landmark that was built by Kachchwa Rajput rulers of Jaipur. Photo Stop at Jal Mahal, Hawal Mahal. After Visit Some Very Famous Local Art and Crafts. Drive back to Delhi Expacting to be a Delhi by 9:00 PM.